It’s Friday! Time for another Art Feature. I think I was meant to be an artist. I suppose this might sound funny but I believe in things happening for a reason. I had gone to college for Graphic Design. It was a compromised decision and it was a hard lesson learned – never compromise your true self to please others…ever. It will never work out! Halfway through my first semester I began to suffer with anxiety and panic attacks. I became really sick and had to drop out of school. For the next few years I struggled in finding my way. I was insecure and felt incompetent when it came to making decisions. I was also scared out of my mind. And then this wonderful man came into my life. He rescued me, you could say. He gave me a reason to want to be better. I know you’re supposed to want these things for yourself but in the state of mind I was in at the time, I couldn’t really trust myself to want better of myself. When we moved in together I wasn’t ready to start working. It was the first time since college that I had accepted a BIG change into my life and I was taking baby steps. However, I’ve never been the type who expects others to take care of me entirely. I have too much of an independent streak to let that happen so I needed a way to make my own money. Even if it was just something small at first. So I started to draw and paint. I had the time. I had the supplies. I had some skills. I had the available resources to be able to attempt selling my work. So I gave it a shot. It was scary because my work sold for very little at first. But little was better than nothing at the time. It was more in my pocket than I had when I started and my mother always said “Beggars can’t be choosers”. This story started out in a rough and tumble kind of way but it turns out pretty fantastic. The guy I moved in with who had rescued me is now my husband and my best friend. The anxiety and panic I was dealing with stuck around for a good 11 years. This past year It’s all but disappeared. I have my moments but I’m in pretty good control of my life now. And the part about becoming an artist…it’s what I had always wanted to be but denied myself the opportunity by listening to others instead of following my own heart. I am very fortunate to have had it work out this way and I don’t regret the struggles. It made it all worthwhile. While browsing your gallery, I discovered that you have done a lot of mermaids. It is obvious that you have a love of them. Where does this love of mermaids come from? I love to swim and be in the water. I always have. When I was younger I used to pretend I was a fish or a mermaid at bath time or anytime we were at the beach. They’re incredibly majestic, beautiful, mysterious creatures. I fell in love with the idea that I could make these beautiful, glorious, massive tails on the body of a pretty lady. They’re really stunning creatures. There are so many tales of mermaids/sirens luring in the hearts of sailors out at sea with their beauty and song. I suppose it was only natural for them to have captured mine as well! What medium do you work in and can you describe the process? I love working with watercolours. Its the medium that always felt the most natural to me. When I start a piece I first create the sketch. Sometimes I sketch right onto the watercolour paper and sometimes on bristol paper first and then transfer over after. The next step is to ink. 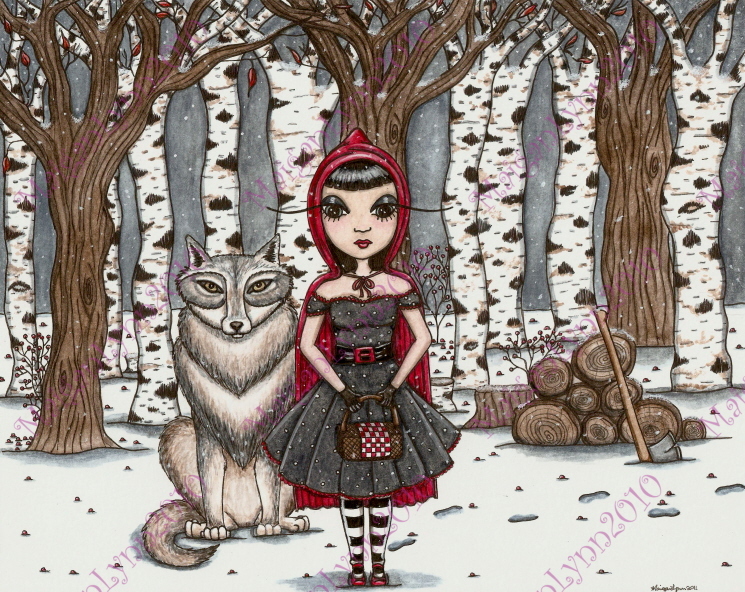 I use waterproof pigment liner pens in black ink in all different sized tips. It’s important that it’s waterproof because the next stage is to add in the watercolour and you can’t have smeared ink lines in you’re painting! I block the colours in first. Sometimes I block colour into the whole piece or sometimes just parts of it before I start adding some shadow, highlights, and texture if necessary. Also, for a lot of my fantasy pieces I use a little bit of metallic acrylic paint for pops of sparkle – this is especially effective with shimmery underwater mermaids with their pearls and jewels! Then I go over all my previously inked lines again. The paint tends to leave a bit of a haze over the ink lines when it dries so I like to sharpen it up a little. And then the piece is complete! 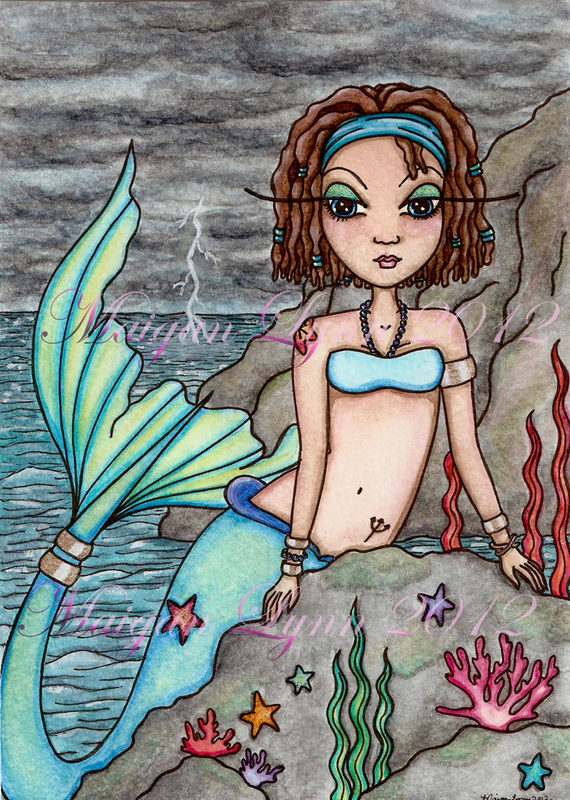 I love the distinctive long eye lashes that your fairies and mermaids and girls have. To me, it’s your signature. I recognize the art as your’s when I see them. How did this start? What has always attracted me the most about any face is the eyes. Eyes are beautiful. Period. The beauty of them extends beyond age, race, creed, social status, and stereotypes. I started noticing that my most favorite fantasy and illustration artists all put a lot of emphasis on the eyes of their characters. They made them more than just the peepers that sit on the face. They made them works of art in themselves. Naturally, as an everyday type girl, i’m always on the lookout for the best kind of mascara to enhance the length of my own lashes! The beauty of drawing a character is that you can make them look however you want – I get to choose the length of the lashes. In knowing this I could be as extreme as I wanted with my characters. So I took it as far as possible. I’ve had people not quite understand what they were at first or why they were there but now it’s most definitely my signature and makes my work very recognizable. From a marketing standpoint it’s definitely helped me in standing out from the crowd. 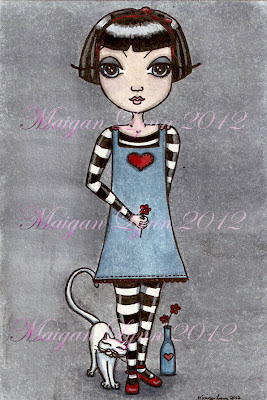 They add a touch of whimsy and fun which is always what I strive for in my work. My readers will be interested to learn that you sell your art not only as prints, aceo cards, and psp tubes, but also as edible cake art. Yum! What a brilliant idea! Would you tell us a little about that and where we can buy it? In much of your work, the backgrounds are exquisitely detailed. I understand you’ve recently started a new line of art with a very minimalist background. Can you tell us a little about the extreme between the two and the why? I’m also licensed with Creative Design Outlet for PSP tubes and Queen Kat Designs for rubber stamps. I find this kind of work lends well to the formats required for the products within these companies. What do you do when you are not working at your art? Every now and again I try to take time away from my art. It’s REALLY hard because I love it so much. However, because this is what I do full time, I know it’s important to include other things into my life to help keep balanced and healthy. So I spend time with my family which consists of my husband, our dog Duke, our two cats Casey and Ben, and our Rabbit Jake. I also try to make time for friends – sometimes it’s a tight fit but we work it out. I also enjoy simple things like reading, gardening, walking, watching movies – mostly fantasy oriented, of course, but I do throw the odd romantic comedy in there too. I enjoy just being. I take the days one at a time now instead of worrying about things that haven’t happened yet. I enjoy life in whatever form I can. I consider myself a sincere and honest person. I’m also a bit of a sap and romantic and I think because I struggled regularly for so long, wondering if life would ever just make sense for me or if I would ever stop feeling scared, I’ve learned to appreciate the things I have and the people I ‘collect’ along the way. That being said, I’m using this question to give a ginormous THANK YOU to everyone who has been there and supported me throughout this journey. I suppose it’s cliche and I wish I could share the feeling in my heart with anyone who happens to read this so they could understand how truly genuine this sentiment is – instead you’ll just have to take my word for it. Everyday I am grateful for what I have and what is yet to come and for the people who helped me get to this place. This is not something I did or ever could have done on my own. 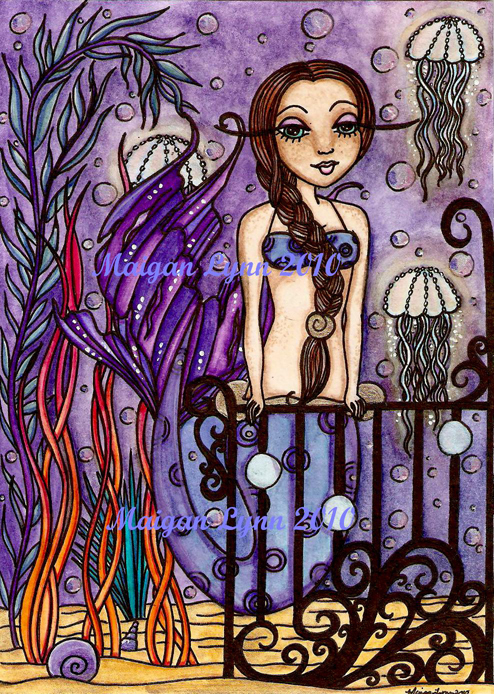 Want to see more of Maigan’s art? Drop by her website, Fantasy Art of Maigan Lynn , www.maiganlynnart.com You’ll find her art, links to her shops and lots more. Thank you Maigan, for taking the time to do this interview. I’ve enjoyed seeing your art and getting to know you. Drop by every Friday to meet more fabulous artists. 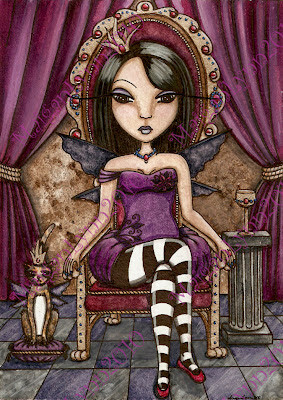 Next week, I’ll be featuring artist, Lindsay Cheesewright. 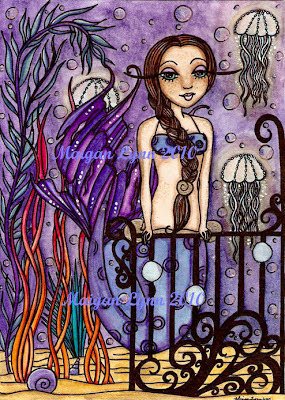 Posted in Friday Art Feature and tagged art, artist, artwork, edible cake sheet, fairy, Maigan Lynn, mermaid, PSP tube. 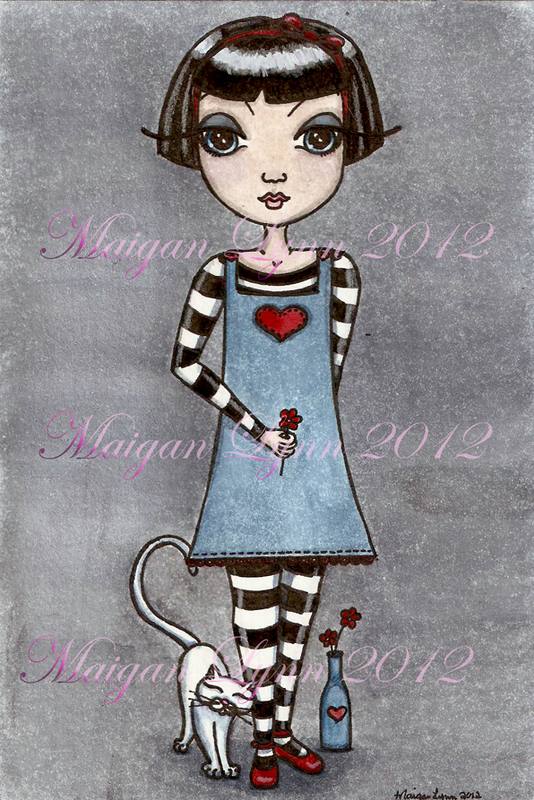 Lovely interview, thank you Maigan for sharing your inner feelings with your beautiful art. And thank you Tori for artist interviews.